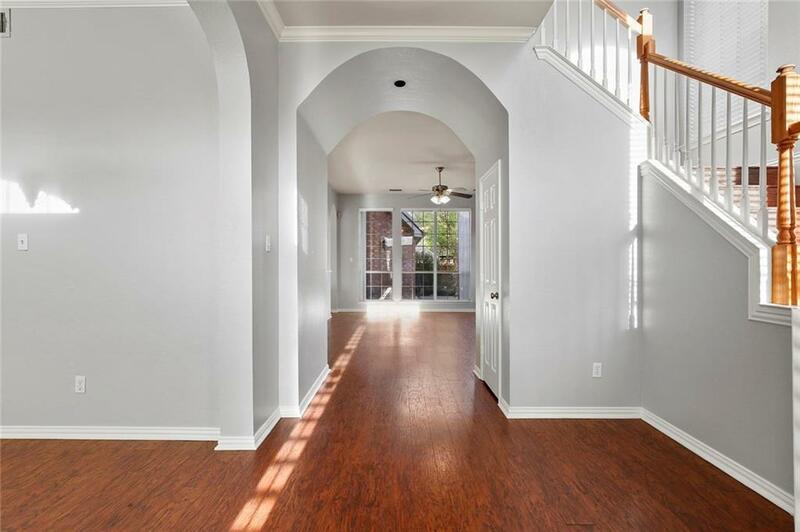 This charming corner lot home welcomes you in with an open plan concept, wonderful space for entertaining family and friends. Lots of windows allowing plenty of light to flow throughout. Laminated floors in living areas. The kitchen has good storage, an island with abundance of counter-top space and a gas cook-top- stainless appliances. Both AC units and water heater less than 5 years old. Rooms are spacious. Recently painted. 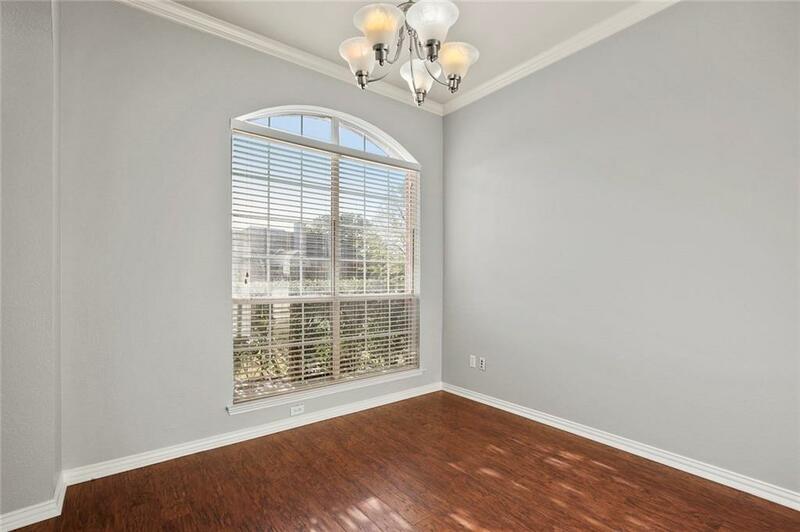 Well established neighborhood - a great place to call home. 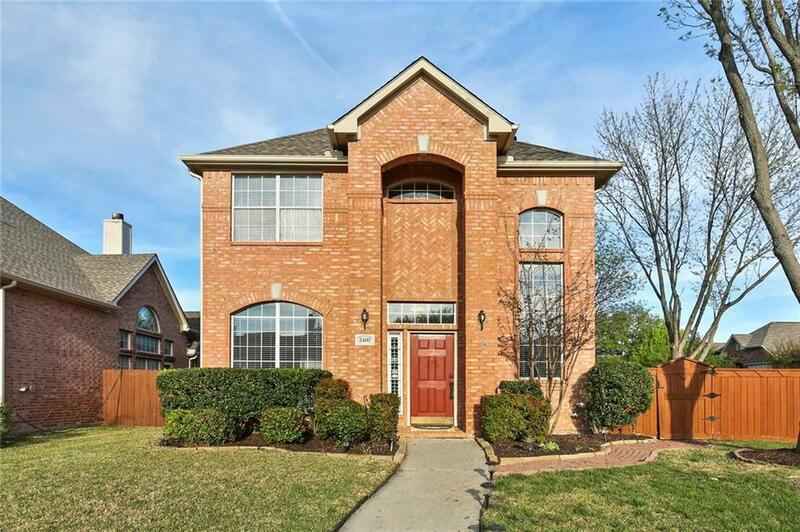 Walking distance to Blue Ribbon Award winning Schools and from Russel Creek Park. 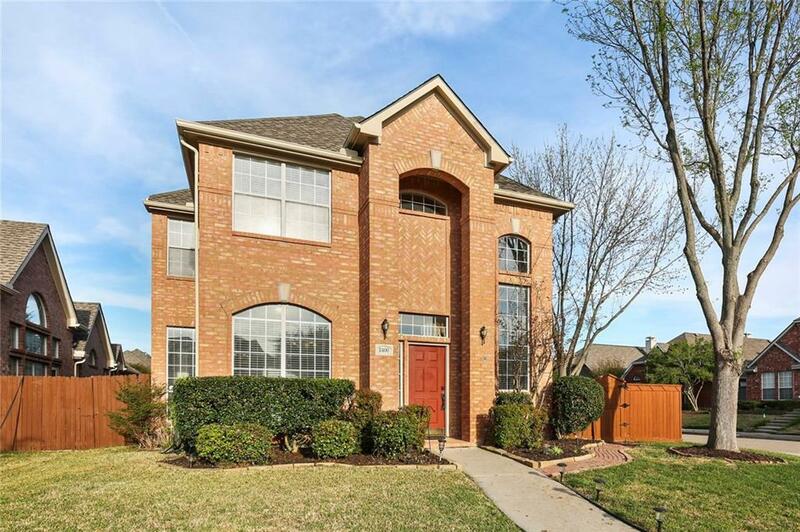 Offered by Francia Santos of Keller Williams Frisco Stars.